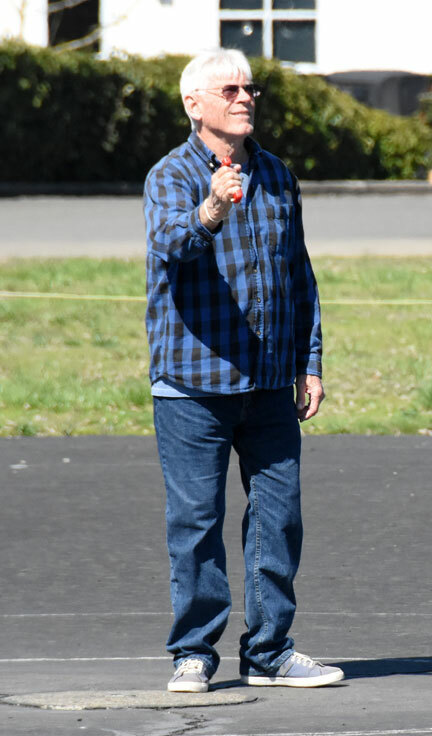 Tom Brightbill flies his new Stuka Old-Time Stunt plane at Bill Riegel Model Airpark (see sign at right) at 2019 Oregon Flying Fun No. 3 in Salem, Ore. Flying Lines photo. 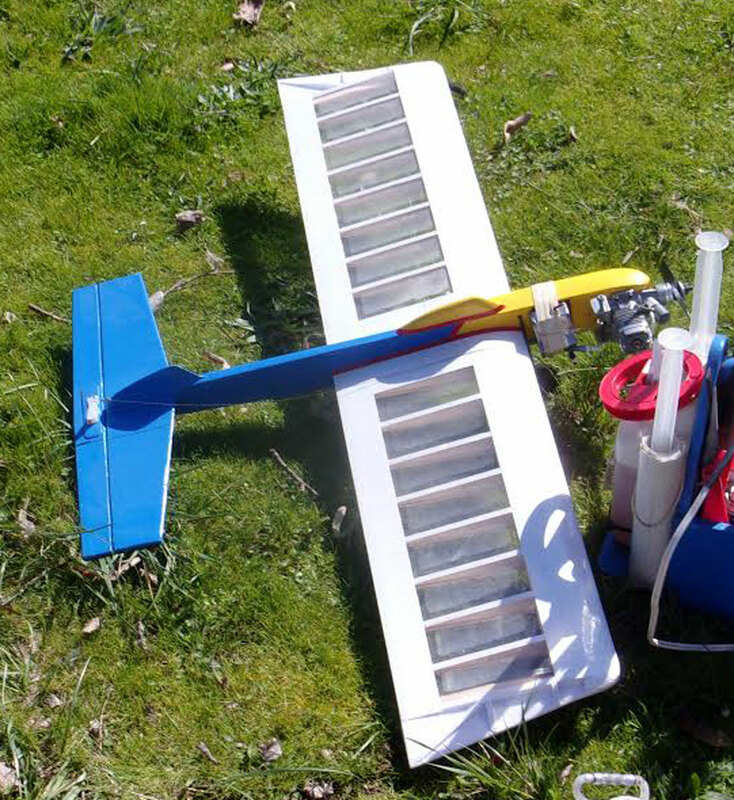 Is it time for control-line flying? 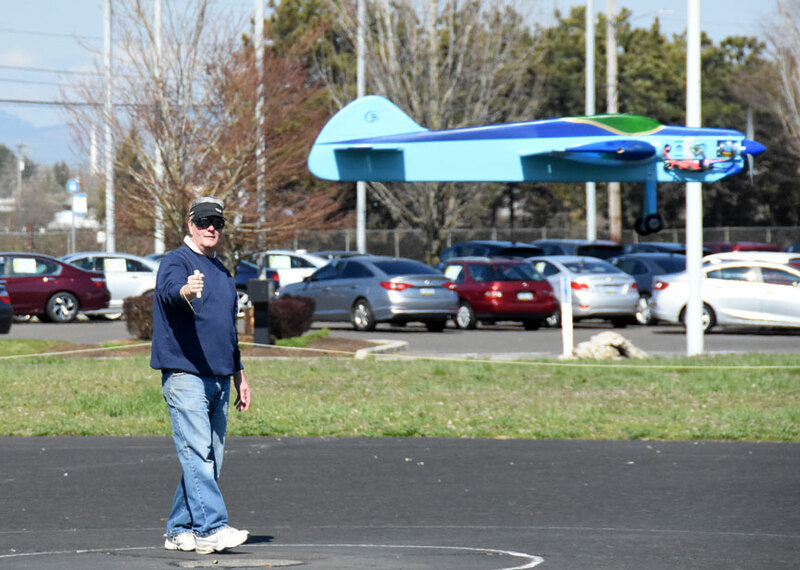 The turnout of 20 fliers who shook off the winter cobwebs at the third Oregon fun fly in Salem definitely answered the question: Yes! 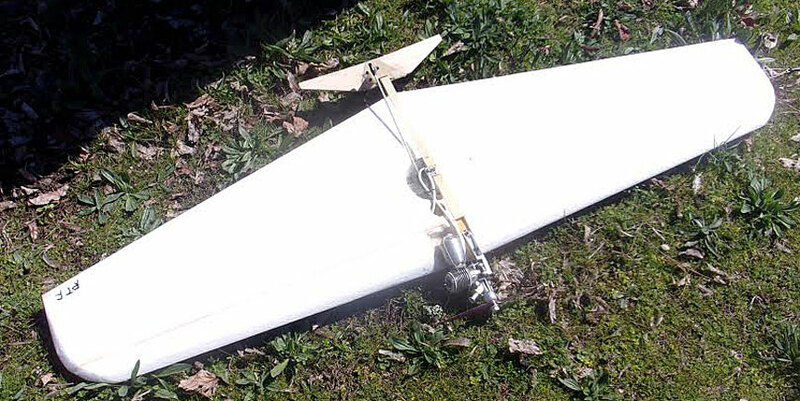 The Oregon Flying Fun series was abbreviated in 2019. 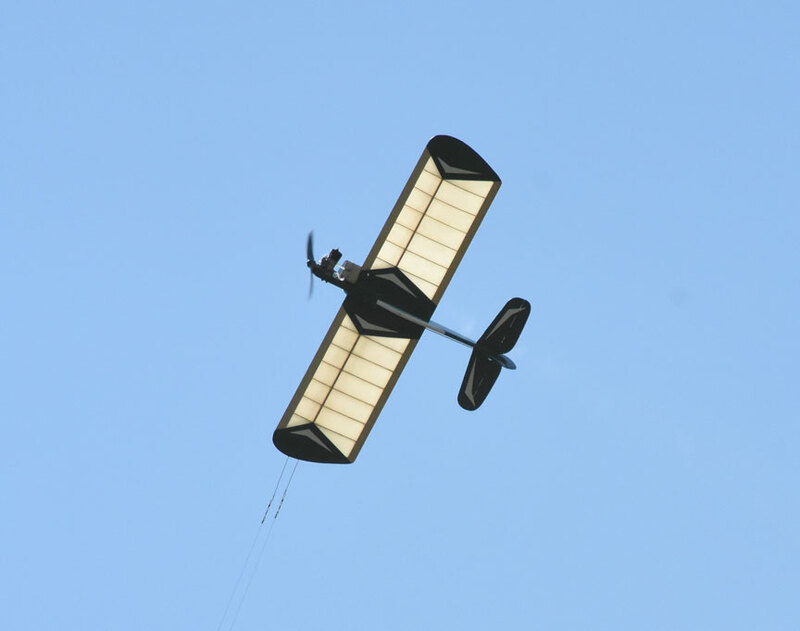 After a successful start with in Portland on Jan. 1, the series was interrupted by weather; fun fly No. 2 in Roseburg was canceled because of early March snow. But the weather for No. 3 was outstanding -- sunshine and very light breezes. 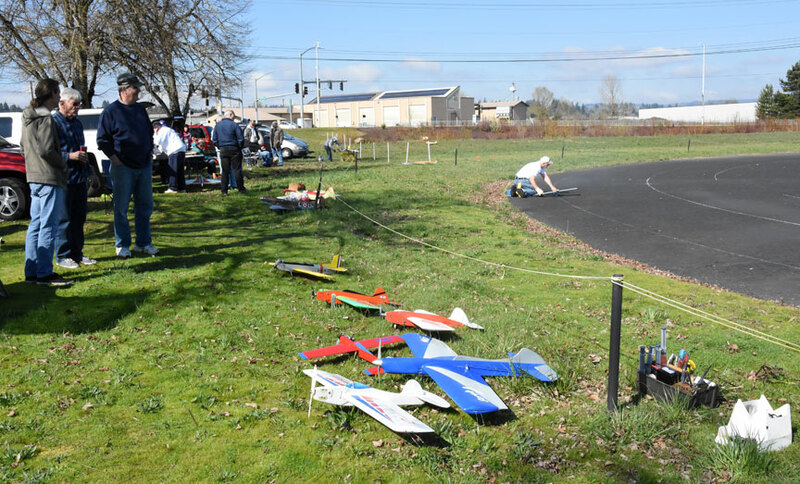 Control-line planes of all types were spread about the Salem field: Stunt planes, Combat planes, Racing planes, Speed planes and many sport planes of all sizes. Event sparkplug Mike Hazel arranged for a tanalizing array of "flying raffle" prizes, and everyone who stayed for the prize give-away took home something useful. Attending the 2019 event were: Tom Brightbill, Floyd Carter, Jim Corbett, Don Curry, Mike Denlis, Jerry Eichten, Gary Harris, Steve Linstedt, Richard Entwhistle, Mike Hazel, Russ Hester, Dave LaFever, Matt Mason, Robin Mason, Gene Pape, Doug Powers, Gerald Schamp, Dean Singleton, John Thompson and Gary Weems. 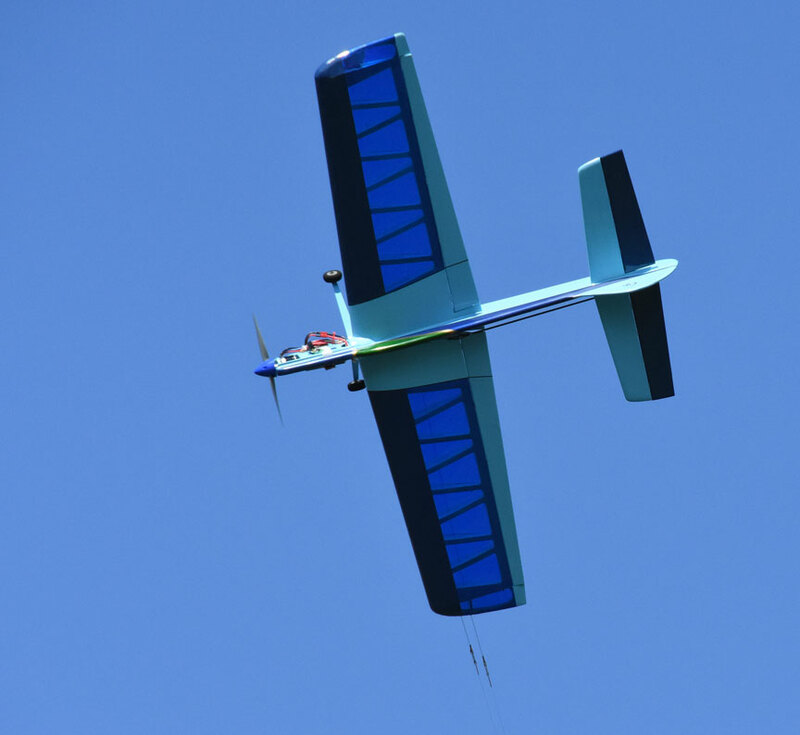 Jerry Eichten's Python electric Profile Stunt plane maneuvers in the clear blue sky. Jerry is from Newberg, Ore. Flying Lines photo. Robin Mason's Super Clown. Robin is from Lebanon, Ore. Flying Lines photo. Sunlight shines through Gary Weems' McCoy .35-powered Buster. Gary is from Monroe, Ore., Flying Lines photo. 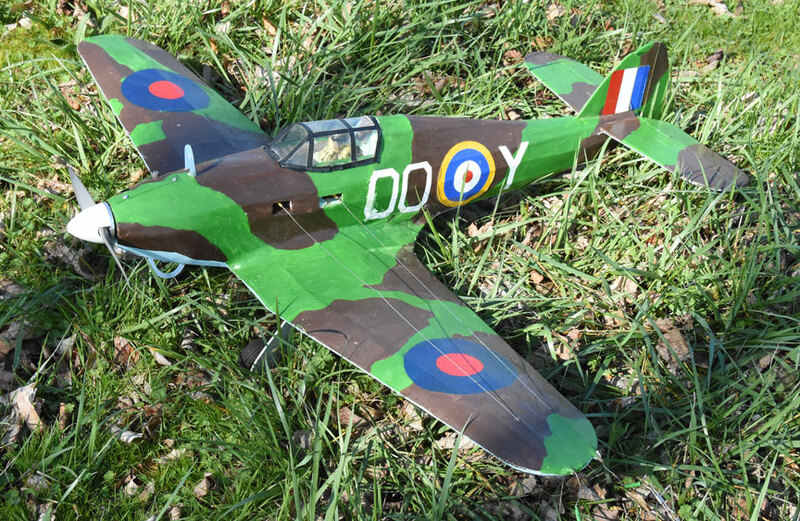 Tom Brightbill's new Stuka was the star of the new planes on display. It's in flight above, and in the pits, below. Tom is from Oregon City, Ore., Flying Lines photo. The Stuka carries the semi-scale markings of an actual U.S.-British airplane that was used as a test bed after World War II. Flying Lines photo. 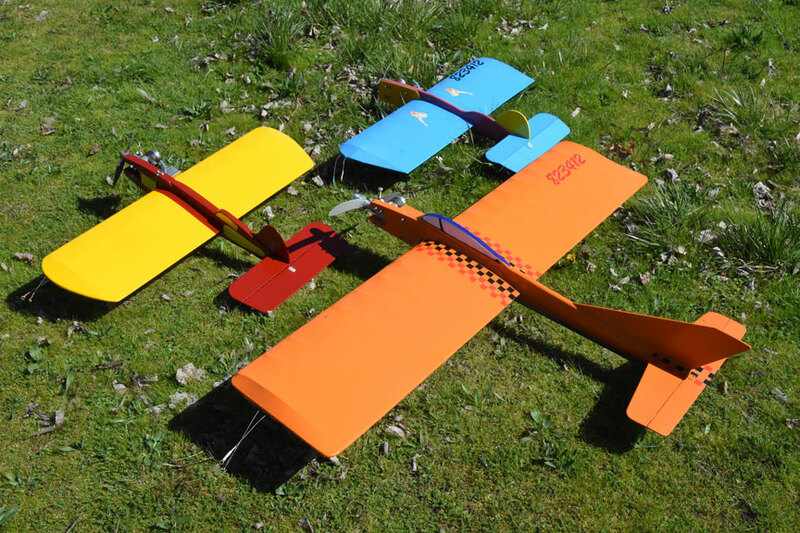 Two of the Stunt planes built by Floyd Carter, of Eugene, Ore. Flying Lines photo. Among the Combat planes using the grass circle was Russ Hester's F2D. In an age when many Combat fliers buy their planes, Russ, of Florence, Ore., still builds all of his from scratch. Steve Linstedt photo. 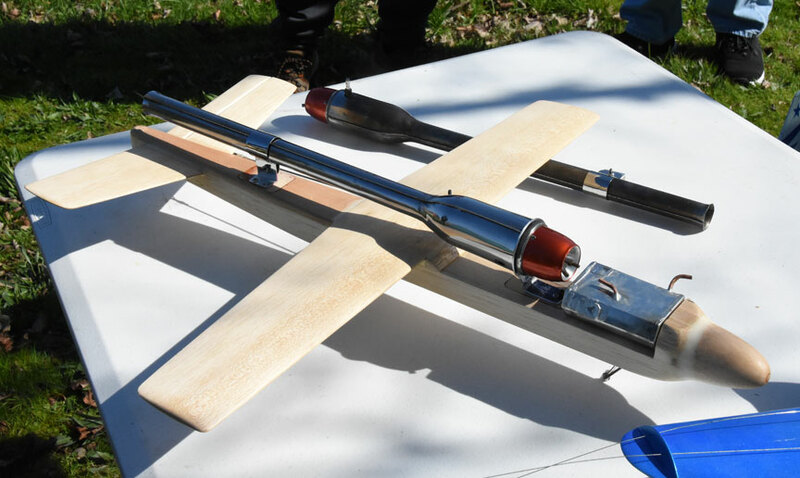 Russ also tested his new Northwest Sport Race plane, a Super Fly powered by an ASP .25. Steve Linstedt photo. 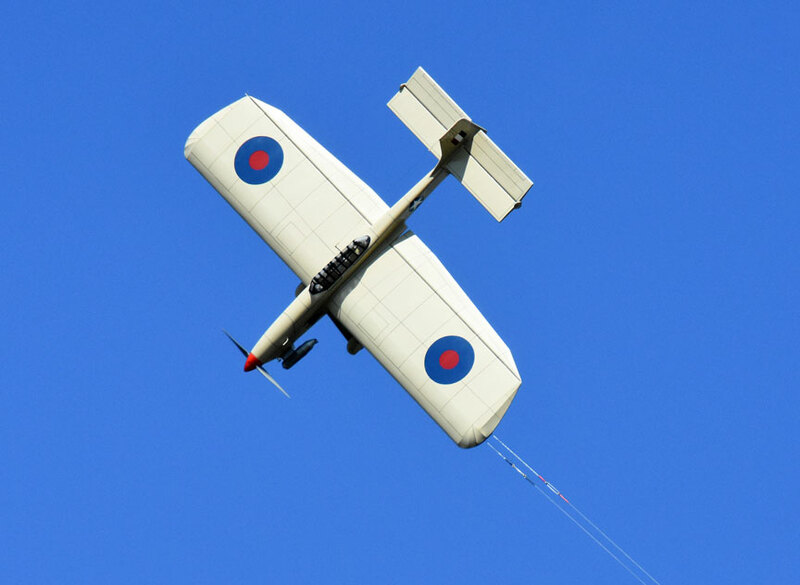 Dave LaFever of Corvallis,Ore., flew this cute warbird. Flying Lines photo. 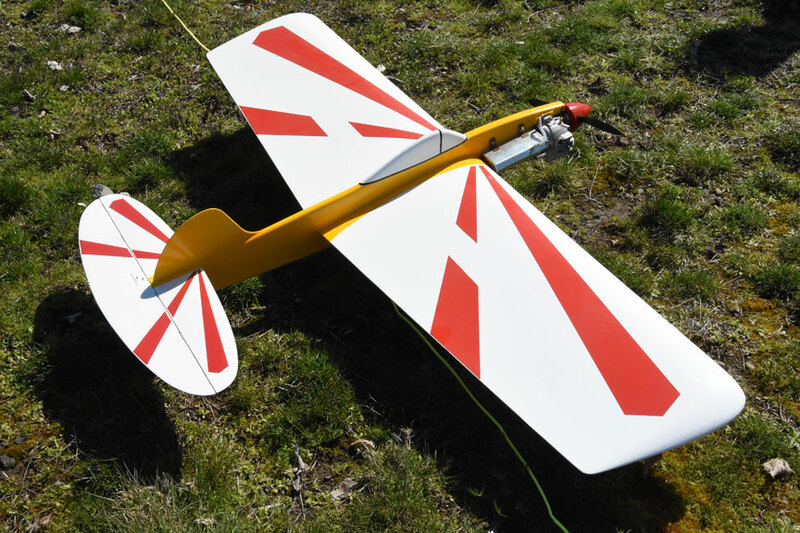 Mike Hazel of Mehama, Ore., displayed this unfinished sport jet plane; power is an unusual Tiger jet, smaller than the usual Dyna Jet. Flying Lines photo. 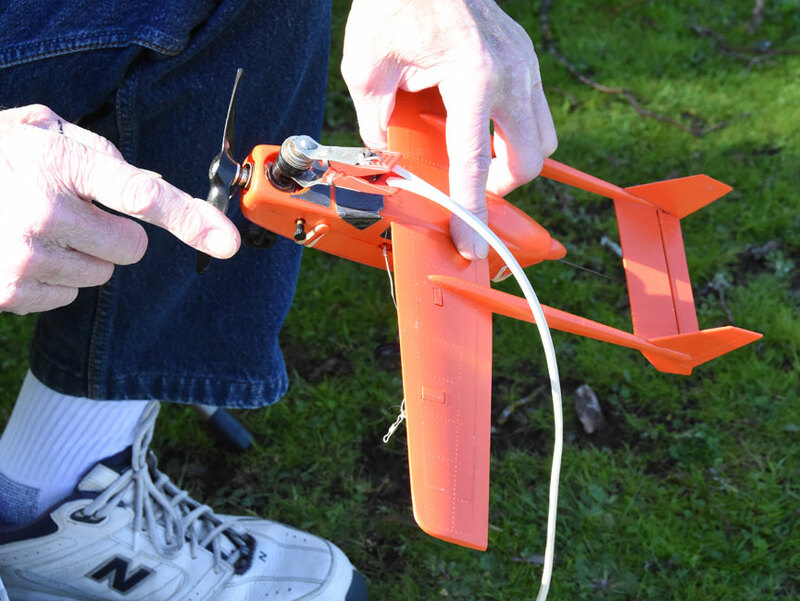 Doug Powers of Portland, Ore., is an enthusiast for small 1/2-A-powered planes. This is some of his fleet. Flying Lines photo. Another tiny plane on display was this vintage Cox Cessna Skymaster, which was marketed as having an "autopilot." It is owned by Mike Denlis, president of the Eugene Prop Spinners club. Flying Lines photo. Red is the color for Super Clowns owned by Matt and Robin Mason of Lebanon, Ore. Flying Lines photo. 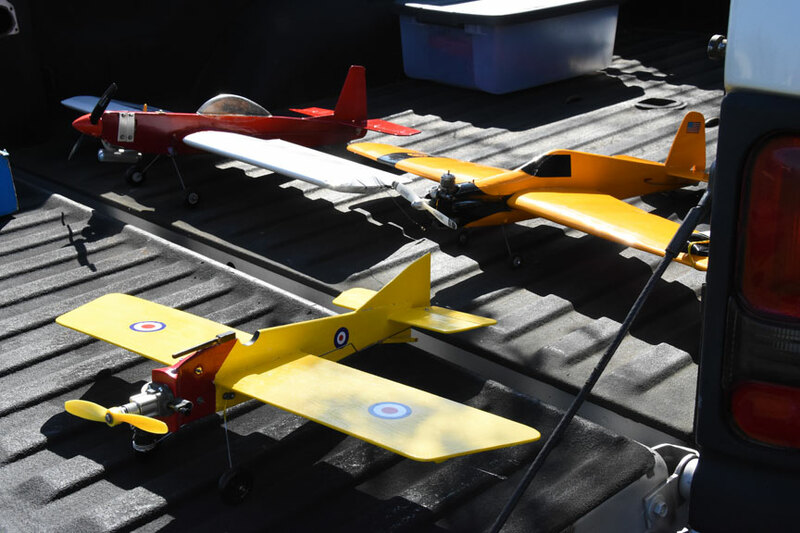 Richard Entwhistle of Scappoose, Ore., displayed his Orange Skyray and two Northwest Clown Race planes. Flying Lines photo. 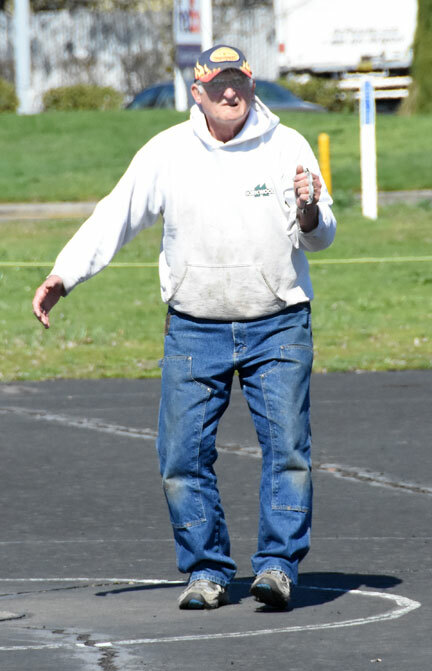 Jerry Eichten at the handle of his Profile Stunt plane. Flying Lines photo. 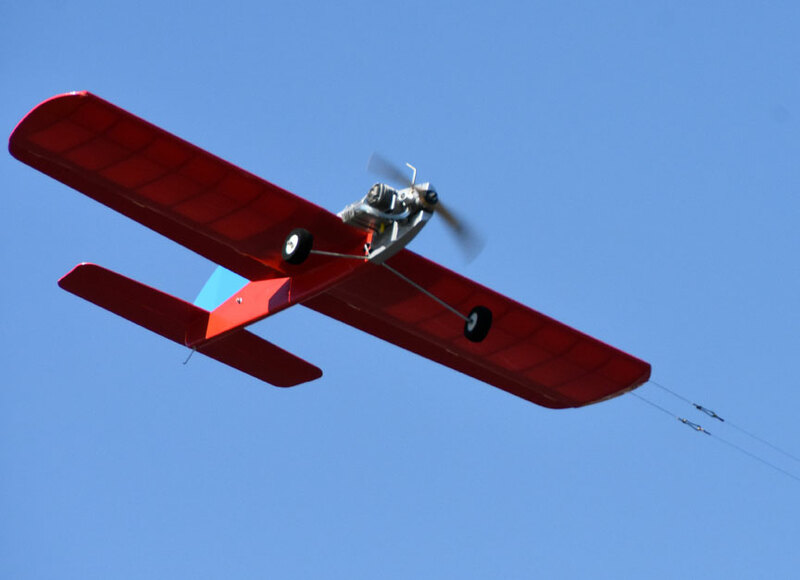 Mike Hazel flew this attractive over-size Ringmaster, built by Gerald Schamp of Albany, Ore., and finished by Tom Kopriva of Eugene, Ore. It is powered by an O.S. .46LA. Flying Lines photo. 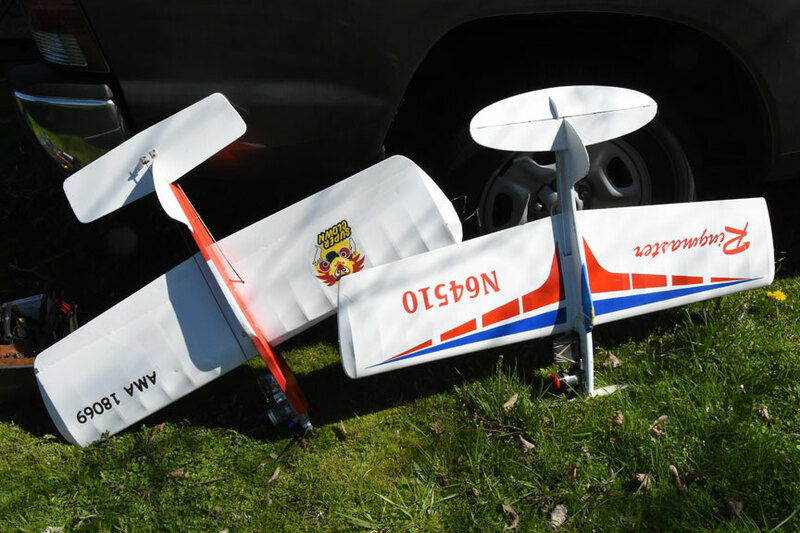 Combat flier Gene Pape of Eugene, Ore., brought along his Super Clown Northwest Sport Race plane (left) and a much-traveled Ringmaster, built by Pat Johnston of Boise, Idaho, and later owned by Gerald Schamp and John Thompson. Current power is a McCoy .35. Flying Lines photo. 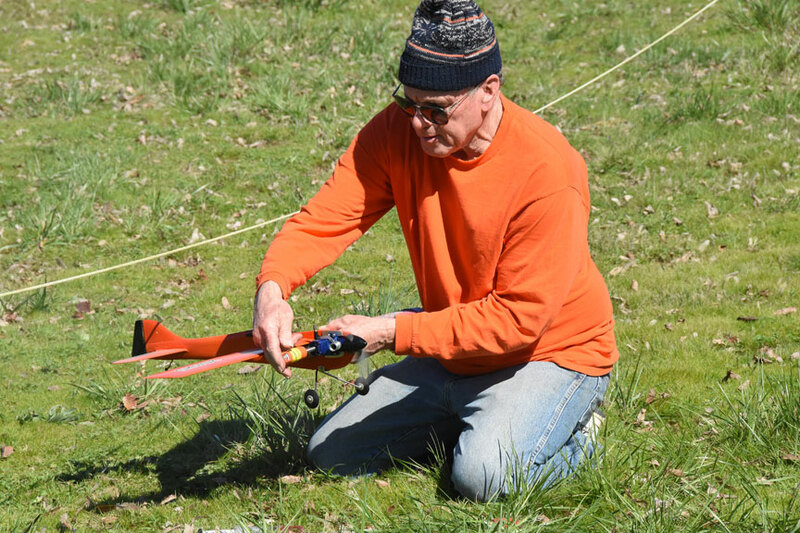 Craig Bartlett of Corvallis, Ore., warms up his B Proto Speed plane. Flying Lines photo. Doug Powers (left) and Robin Mason in the center circle. Flying Lines photo. Overview of the Salem flying field early in the day; more planes showed up as the day went on. Flying Lines photo.